We carry out all types of electrical and mechanical installations, maintenance, servicing and repair. We can supply and install many different types of marine equipment, including diesel heating systems, fridges, water makers, anodes, general chandlery and much more all at very competitive prices: call us to discuss your requirements. We install Permateek®, low maintenance marine decking that is the most realistic deck you have ever seen and felt. 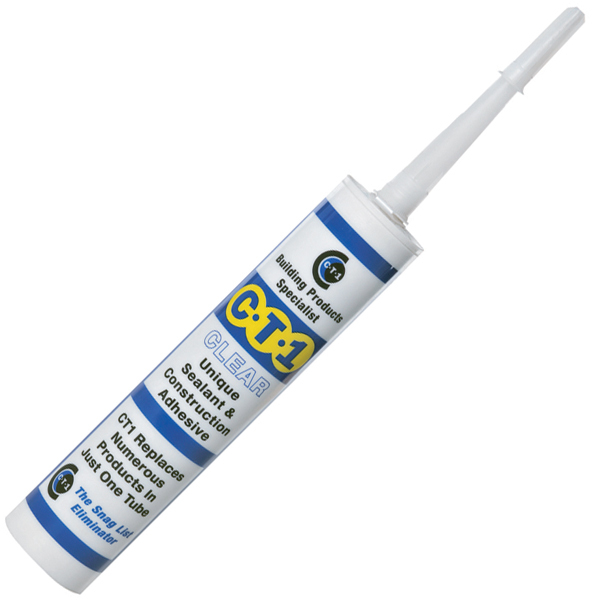 We sell CT1 adhesive sealant and highly recommend it as a product which we have proven in use. Available in black or white £8.95 +P&P. 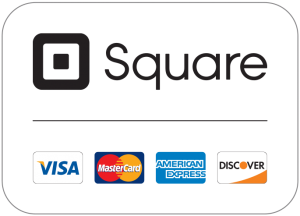 Click here to purchase your CT1 online. We sell Soltron, an enzyme based, fuel treatment for petrol and diesel systems that stabilises fuel and eats any bug present in the fuel resulting in a cleaner running engine. We can supply and fit all types of electrical and electronic equipment including electric winch, searchlight, DC-AC Inverter, battery charger, solar panel, wind generator, chartplotter, radar, fishfinder and more. For new yachts or for re-wiring existing yachts, we can design an electrical system to suit the needs of the owner, with the ability to fit any additional equipment as necessary. Electrical fires onboard are a real danger and many electrical installations can be poorly wired with sub-standard terminal blocks which quickly corrode, causing high resistance connections which could heat up excessively and burn. All our systems are fiited with heavy duty master fuses on the main batteries, while all individual circuits are individually protected using resetable circuit breakers. Bilge pumps and other critical “always on” circuits are inidividually fused and bypass the main battery switches. 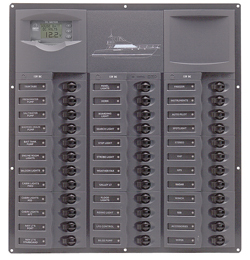 We supply and install only the highest quality, pre-built AC and DC switch panels or can build custom electrical panels to suit the space available on your boat. All our systems use either Carling or ETA type circuit breakers which have proved to be the most reliable for marine use. Keeping your electrical system functioning at its best requires constant monitoring to prevent permanent damage to your batteries due to deep discharging. We highly recommend installing a battery monitor which will tell you your engine and domestic battery voltages (and thruster battery voltage if fitted), charge and discharge in Amps, and total capacity remaining. We can recommend battery chargers, solar panels, wind generators or smart alternator regulators to effectively and efficiently fully charge your batteries.